Lucy was all fired up that her Fairy Tail story was starting up again. I don't remember Lucy being this peppy in the morning. It's nice to get some fun stuff that isn't filler related for our heroes. I guess yoga still isn't that fun for Lucy. Now why would Lucy be blushing while brushing her teeth? Is she a naughty girl thinking naughty thoughts? Come on! That wink should work on any red-blooded male. Somehow I don't think Lucy is alone in having a growth spurt during this year time skip. Lucy had it tough being a pinup model. Real tough... She gave as good as she got against that octopus! 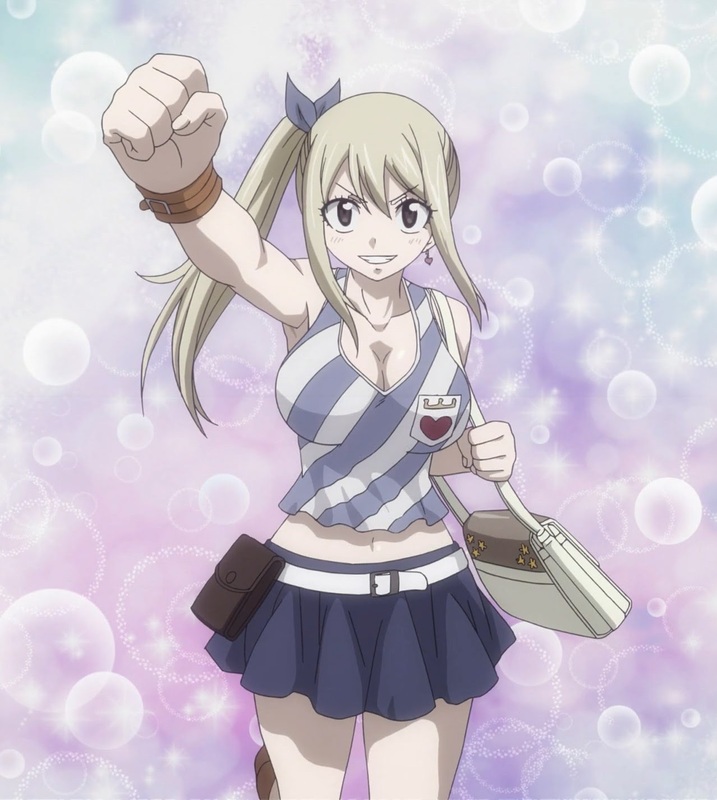 Lucy still missed all her friends at Fairy Tail. Somebody else came to the stadium really all fired up! Natsu! I hope to see the full version of this official art from the End Credits real soon.